We all know that every drug (chemicals) has its side effects. Some trigger headaches, nausea, dry mouth, drowsiness, constipation, and other more serious side effects. Although not so serious, drugs with a sleepy effect quite disturb our activity. Actually this sleepy side effect is made for you to rest to maximize the work of the drug, but it becomes a danger if you have to drive and decrease productivity when you have to work or other activities that require concentration. 1. Anti-allergic drugs or antihistamines to treat itching, cough, runny nose, sneezing, eye allergies, to nausea and vomiting. Antihistamines are a component of a drug that acts to block the action of histamine, a chemical produced by cells in the body when subjected to allergic reactions. Antihistamines are commonly used to treat sneezing, stuffy nose, hives, insect bites, eye allergies, food allergies, to the symptoms of nausea or vomiting due to motion sickness. There are two types of antihistamines, the first class of antihistamines that have a calming effect. Antihistamine compounds in this drug will enter the brain and interfere with awareness that tends to cause drowsiness and difficulty concentrating. 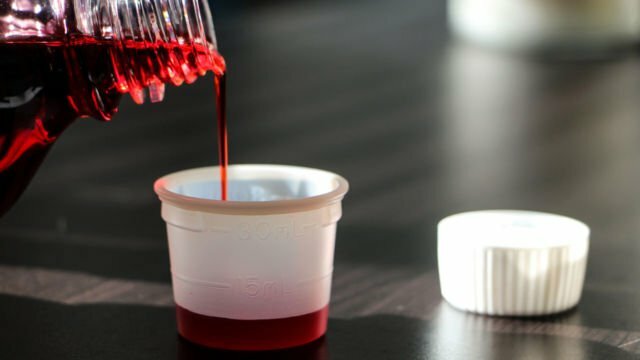 The content of chlorphenamine (CTM), promethazine, ketotifen, alimemazine, cyproheptadine, hydroxyzine, or clemastine in the drug is the first class of antihistamines that cause fatigue and sleepiness after drinking it. 2. Antidepressant drugs are often used to reduce anxiety disorders or neurological diseases. 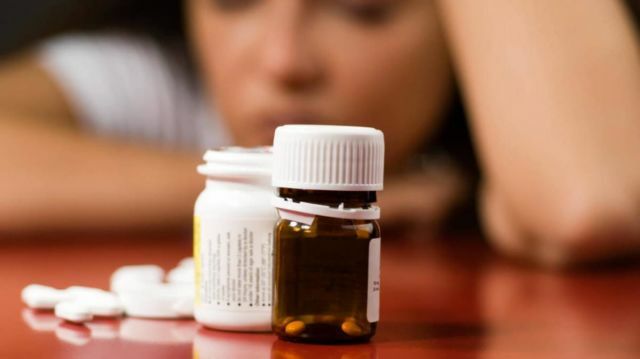 Antidepressant drugs are usually prescribed by doctors to treat symptoms of depressive disorders and neurological diseases. Patients who experience anxiety in general can indeed control the complaints they experienced after taking the drug. 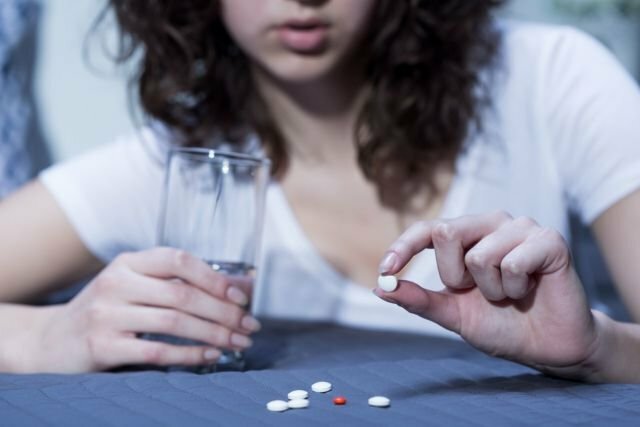 Antidepressant drugs are classified as hard drugs so that their use should be under the supervision of a doctor. One of the side effects caused after taking the drug antidepressants is drowsiness and loss of concentration. There are several types of antidepressants, but the most common ingredients in drugs are fluoxetin, venlafaxine, and amitriptyline. These drugs are categorized as psychoactive drugs that are usually used to treat psychological disorders such as anxiety disorders and insomnia. Benzodiazepine plays a sedative, anti-anxiety, relaxes the muscles of the body, and the effects of hypnosis or easy to sleep. This drug works by binding to receptors in the brain that release the 'quiet' signal. The brain and body will get a signal to relax thereby lowering the anxiety pressure. You can not get rid of this drug because benzodiazepine is included in the list of drugs that must be redeemed with a prescription. 4. Generic high blood drug type beta blocker slowing heart rate that often trigger fatigue. Although most hypertensive diseases or high blood pressure usually affects older people, but not infrequently also attack young people. Some generic high blood drugs are usually relied upon to relieve them. One is the beta blocker type. It works by blocking the effects of the hormone epinephrine (the adrenal hormone) that makes the heart work more slowly, the heart rate and heart pump strength decrease. Thus, the volume of blood flowing in the blood vessel decreases, blood pressure decreases causing drowsiness effect. 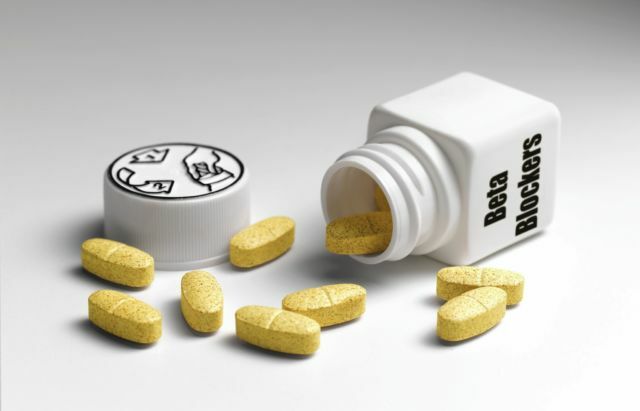 Some of the beta blocker drugs that cause drowsiness include: atenolol, propanolol, metoprolol, nadolol, betaxolol, acebutolol, bisoprolol, esmilol, nebivolol and sotalol.